The central provinces of Quang Nam, Quang Ngai and Da Nang are facing serious staff shortage in tourism industry as more visitors flock to the provinces resulting in fierce competition in the sector. 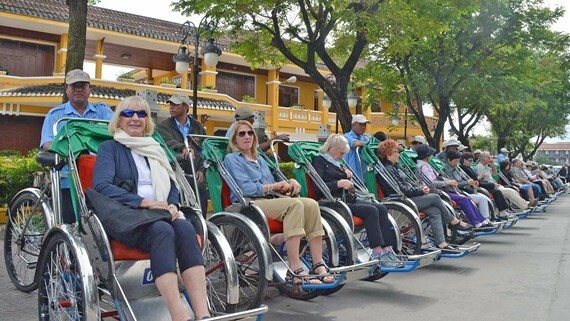 Deputy Director of the Department of Culture, Sport and Tourism in Quang Nam Province Le Ngoc Tuong said that by end of 2017, there was around 13,000 employments in the province’s tourism sector aged from 26 to 45 making up 65 percent. Of them, 10,000 people work for hotels & apartments while 1,000 others work in travel agencies and transportation and 2,000 people work in amusement parks, restaurants and other services. As per prediction, the tourism sector must recruit around 20,000 direct human resources and 40,000 indirect staffs to meet the province’s growth in demand for personnel by 2020. Accordingly, in the period 2018-2020, it is expected nearly 11,300 people will be recruited to work as receptionists, cook and safeguards in restaurants. Likewise, travel agent needs 880 people accounting for 7 percent of the whole employment. Worse, the tourism industry in the central province of Quang Nam is short of qualified and skilled staffs and presenters at historic sites who have little knowledge of history and foreign languages especially Japanese, Korean, Thai and Chinese. Therefore, there is a fierce competition between hotels and accommodations. By June, 2018, the industry employed 32,000 staffs, said Deputy Director of Da Nang Department of Tourism Nguyen Xuan Binh. As per the tourism plan by 2020, Da Nang will receive 8.5 million visitors and the industry is required to have over 35,000 direct employment. Though tens of tourism training institutions provide 2,000 workers in the industry annually but it can’t meet demand and these graduates even must be re-trained. 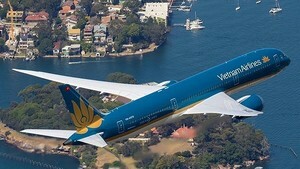 Within 10 years, Quang Nam tourism sector has grown by 15 percent – 18 percent. For instance, in 2017, nearly 5.35 million holiday-makers arrived in Quang Nam Province. Tourist arrivals in the first nine months of 2018 increased by 22.9 percent to 5.4 million. The province has 90 travel companies with 595 accommodations to provide 12,139 rooms for visitors. It is projected that when Nam Hoi An or Vinpearl put into operation, around 6,000 skilled tourism workers will be recruited. Mr. Binh said Da Nang City is supplying 29,000 accommodations; yet, graduates from training facilities can’t also satisfy the demand. Not only the Central Vietnam but also all provinces across the country are facing the problem of human resource. Subsequently, Deputy Director of Quang Nam Department of Labor, Invalids and Social Affairs Nguyen Thuy said that it needs to re-structure schools and update the facilities to train more personnel for the industry.